HAGERSTOWN, Md. - South Atlantic League President Eric Krupa announced the recipients of the 2017 SAL Outstanding Achievement Awards and two Hagerstown Suns staff members were honored as Ross Combs claimed Sales Executive of the Year and Brandon Groomes took home his third consecutive title as Bat Person of the Year. All 14 SAL teams, along with field managers and umpires, voted for the Outstanding Achievement Awards. 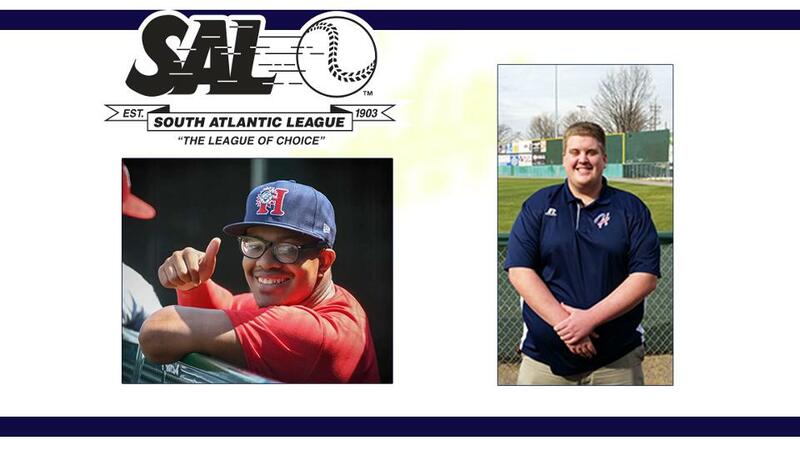 Honorees will receive a plaque provided by the South Atlantic League. Combs, 24, has played a key role in record sponsorship growth for the Suns since his arrival in November 2015. During his first season, Combs increased sponsorship sales by 10% and eclipsed his growth goal again in 2017 with a 23% increase. Combs also took the reins in group ticket sales this season and shouldered extra responsibilities as a ticket office administrator. "Ross wears so many hats for the Hagerstown Suns," said general manager Travis Painter. "His outstanding work in both corporate and group sales is due to his willingness and drive to get out in the community and work with business leaders in Hagerstown and Washington County to surpass all the goals we set with him." The Bunker Hill, West Virginia native grew up a Suns fan, graduated from Fairmont State University, and followed stints with the Tri-City ValleyCats, Richmond Flying Squirrels, and Burlington Royals by returning home to lead the Hagerstown Suns sales team. Combs is well-known among Suns fans and teams around the SAL as 'Tiny the Tooth Fairy' for his role during an in-game dental promotion race. Groomes, 22, achieved his coveted three-peat as Bat Person of the Year following another outstanding season of service to Suns players and staff along with SAL umpires. The 'Fastest Bat Person in the League' joined the Suns in 2014 and is beloved in the community for his bright smile and friendly greetings while his hustle and professionalism on the diamond separate him from his peers. "There's no other Bat Person like Brandon," said Painter. "He set this goal of winning a third straight title and he worked hard throughout the season to keep improving. Brandon is a great representative of the Hagerstown Suns and we can't wait for him to defend his title again next season." The Suns will return to Hagerstown Municipal Stadium in 2018 as the Class A affiliate of the Washington Nationals. The regular season begins on the road against the Rome Braves on April 5 and the home opener is scheduled for Thursday, April 12 against the Greensboro Grasshoppers. 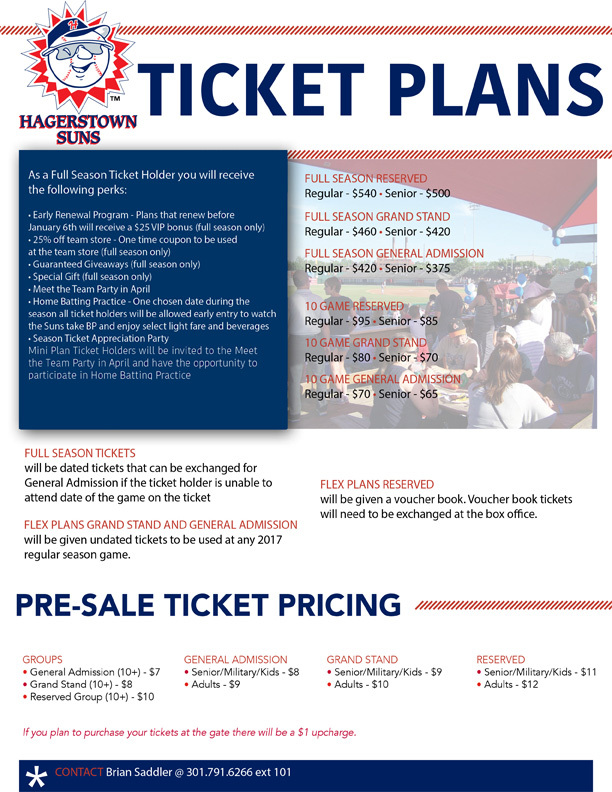 For 2018 Suns season ticket or sponsorship information, call (301) 791-6266.